This surf spot has lots of peaks, so there are waves for everyone. During low tide the waves are hollow. During high tide this spot is suited for beginners and you might need a longer board, because the waves are much slower. The swell has to come from the North or the Northwest. Playa Guiones still works with big swells. So when other waves don’t work anymore and break close out this spot often still works. The bottom is sandy and the waves break to the left and to the right. Longboarders dig these waves and there are several surf schools in this area. So as a consequence there are usually some beginners in the line up. 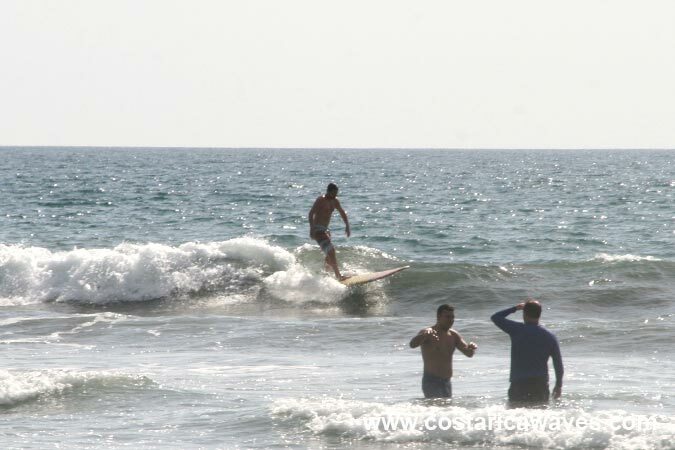 This surf spot is most consistent from December till March. Especially with offshore wind this wave can be perfect. From March to July the waves tend to be bigger. Mushy surf in Playa Guiones. 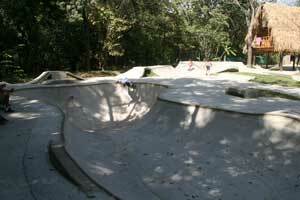 Flow style skatepark with a nice big bowl. 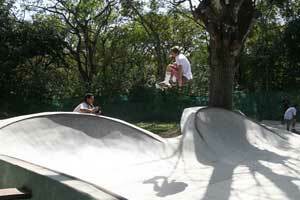 Eskina Skatepark is well worth a visit, don't forget to take your skateboard with you!